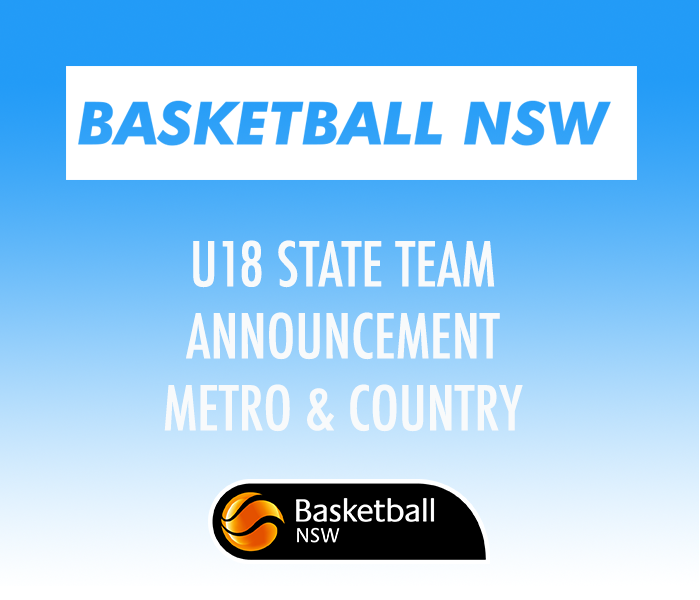 Basketball New South Wales is pleased to officially announce the 2019 U18 Metro & Country Men’s/Women’s State Teams. The Under-18 Australian Junior Championships and Kevin Coombs Cup will be held in Townsville, QLD from the 13th– 20th of April, 2019. Metro High Performance Coach, Sam Gruggen said he is confident that the two selected Metro teams will progress extremely well through their final preparations ahead of the Australian Junior Championships and will be at their best, ready to take on the challenge of nationals. “This group of Metro athletes has improved dramatically over the last two years, and I am optimistic that our two Metro sides will have a successful tournament,” Gruggen said. Country High Performance Coach, Curtis Sardi said it was a tough process to select the final teams for the Men & Women Country sides but is adamant that the selected athletes will exceed expectations in Townsville. “With such a large arrange of talented and skilful athletes in Country NSW, we have narrowed it down to who we believe will represent Country NSW at a high level and continue to build on the hard work that began last year,” Sardi said.